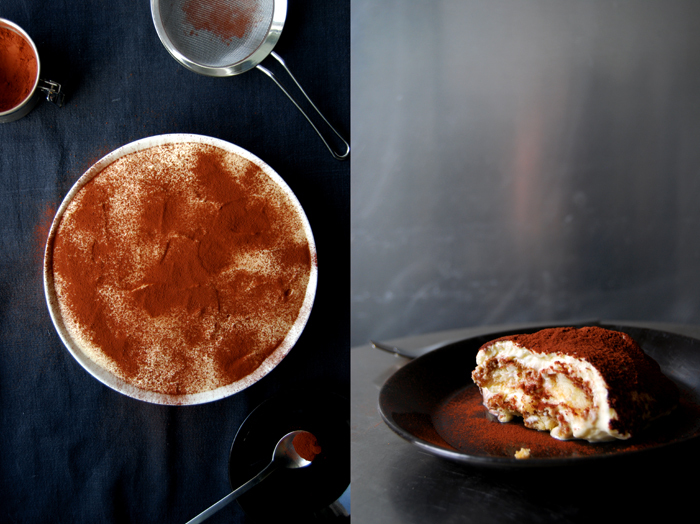 Tiramisù – there’s not much more to say to that! This has been my favourite dessert for twenty years and the recipe I use today is the result of hundreds of variations which I tested in my kitchen, at restaurants and at friend’s dinner parties. To me, mine is the best and the formula to get there is simple, 1 egg and 25g (1 ounce) of sugar for 100g (3.5 ounces) of mascarpone. 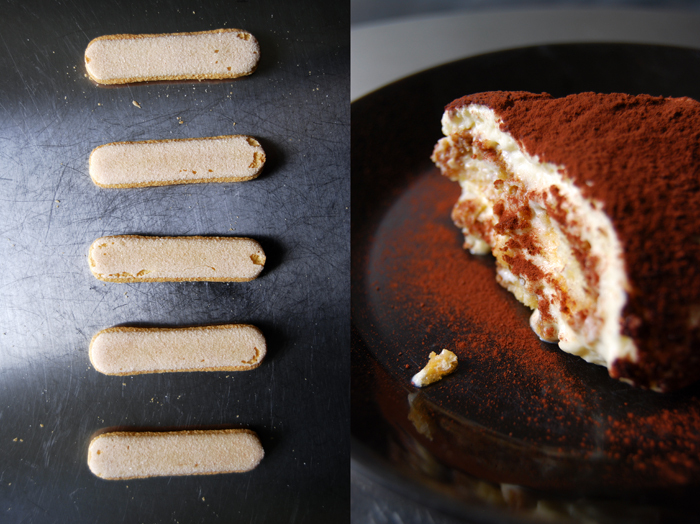 It’s voluptuous and creamy, the soaked ladyfingers well balanced with espresso and brandy. They are light and soft but they still have structure, far from being soggy and mushy, something I can’t stand when it comes to this Italian classic. I make the cream with only mascarpone, fresh organic eggs and sugar, some people like to add whipped cream but to me, that makes it lack in taste. 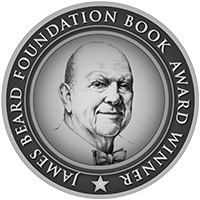 When someone is worried about eating raw eggs in a dessert, I can only say that I never had any issues in all those years and neither did my guests, and there were many of them who savored it at our table. This is an absolute crowd pleaser, invented to make a whole Italian family happy after a delicious meal! Although its name means “lift me up“, I can’t really agree with that. The coffee and sugar have a pushy effect but the amount that I eat of it works against that. So I prefer to make it when we have friends over which means that I have to share it and eat a bit less. I always prepare it around 8-10 hours in advance and make a big portion as it doesn’t make much of a difference if you prepare it for six or sixteen people. 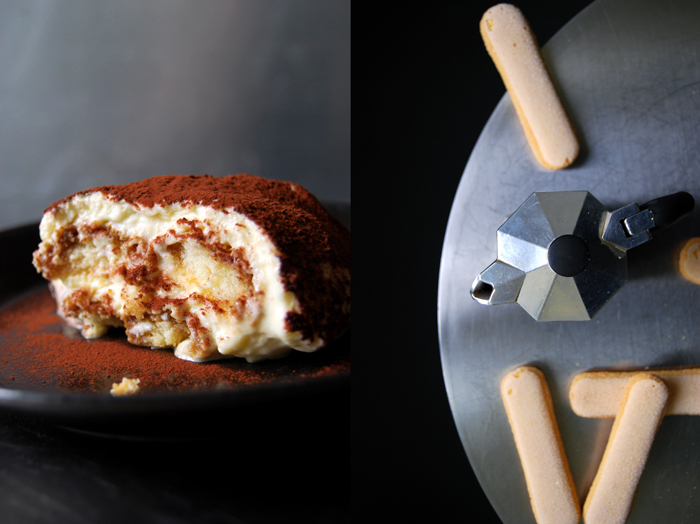 One thing is for sure, as soon as the tiramisù is on the table, the room is filled with silence, the silence of savoring! Here’s the summer version of this dessert I made a few months ago, my Strawberry Tiramisù! 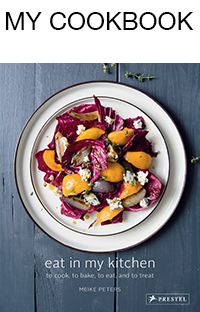 I use a round dish of 25cm /10″ and 6cm / 2.5″ height. In a deep plate, mix the espresso and brandy with 2 tablespoons of sugar. 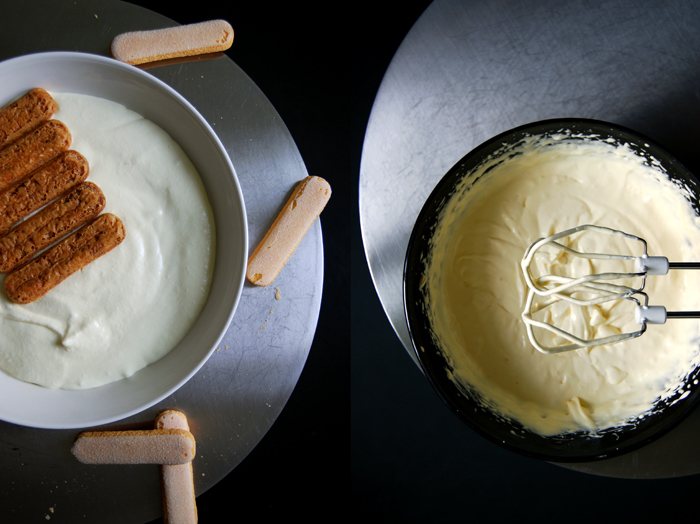 Mix the mascarpone until creamy, it won’t combine well with the egg yolk and sugar mixture if you leave out this step. In a large bowl, mix the egg yolks and sugar until light and fluffy. Add the mascarpone and mix until well combined. Whisk the egg whites with the salt until stiff and fold gently into the mascarpone-egg mixture. Dip the ladyfingers for just 1 second (not longer or they will get mushy) in the espresso-brandy mixture with the unsugared side and lay them with the sugared side down into a deep dish. The should be very close to each other. 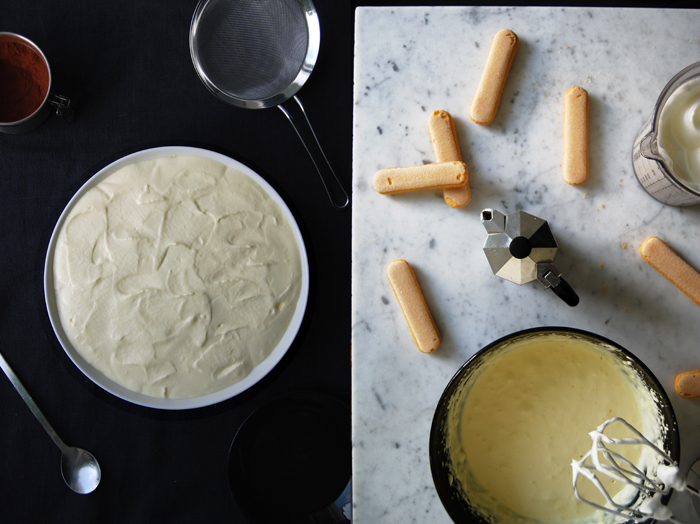 Spread half of the mascarpone cream on top and cover with another layer of ladyfingers dipped in the coffee mixture. Spread the remaining cream on top and cover with cling film. 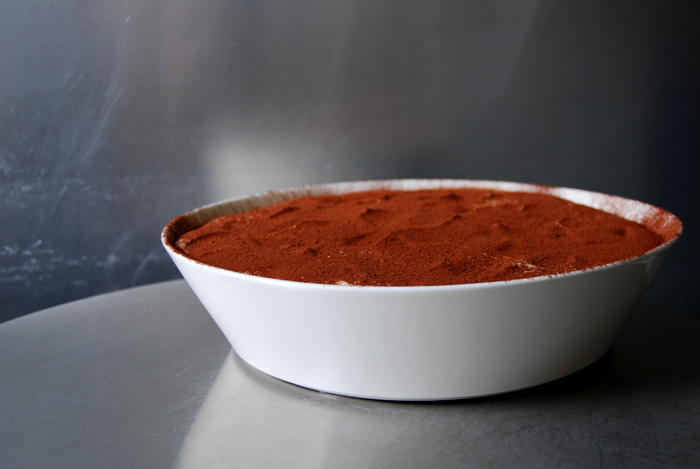 Keep in the fridge for at least 8 hours (or longer) and dust with sieved cocoa powder before serving. 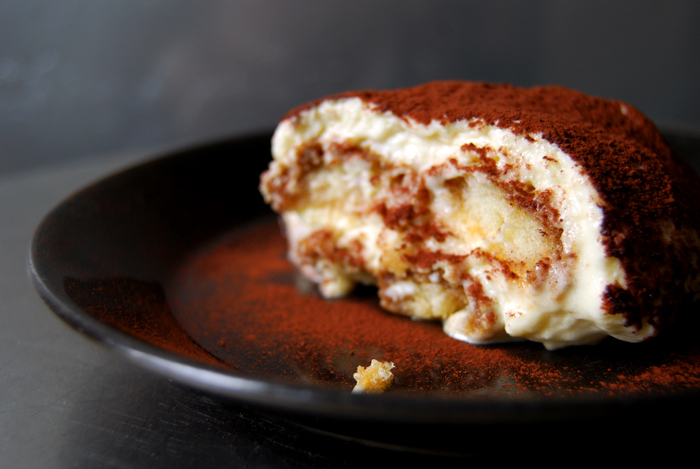 Tiramisu is probably my favorite dessert…I make it a few times a year. This is my favourite dessert, I love it! I love tiramisu! Gorgeous photos. The deafening silence of everyone at the table eating in unison is such a wonderful thing!